Dr. (Mrs.) Eunice Muringo Kiereini, MBS (Chairman) Dr Kiereini is a renowned nurse and maternal health expert; she is the Chairman IMPACT East Africa and Trustee, the Maniben & Mohammedally Rattansi Education. Dr. Kiereini was the First Nurse from the Third World to be elected the President of the International Council of Nurses. The first African Woman appointed to the Global Commission for Aids at the World Health organization. A highly skilled and experienced consultant in health management, Dr Kiereini has provided consultancy services for private sector, public sector and nongovernmental organizations including World Health Organization, Rockefeller Foundation, Commonwealth Foundation, University of Hawaii, and University of North Carolina among others. 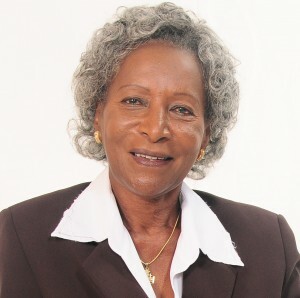 As the Chief Nursing Officer Ministry of Health, she initiated the first advanced nursing diploma course in East and Southern Africa at the University of Nairobi; overhauled nursing education in Kenya programmes, and shifted emphasis from hospital orientation to the community; Key player in formulation and adoption by parliament of a new Nurses Act empowering Kenyan nurses to practise independently when necessary. Mr. John Mramba (Vice-Chairman) Mr. Mramba is an expert in Information policy formulation, communication strategy development, corporate imaging, policy advocacy, social marketing, and advocacy communication among others. He Holds a Master of Science degree in Journalism from Columbia University, New York, Post Graduate Diploma in Journalism from University of Nairobi in Kenya and Diploma in Film Editing from Ebert-Stiftung in Germany. He is the Chairperson of the Board of Trustees, the Kenya Agricultural Research Institute (KARI) Pension Fund. He is the former chairperson of the Board of Directors of the Kenyatta International Conference Centre (KICC), Communication Concepts Limited and Mobil Oil Kenya Community Programme and former board member of the Central Bank of Kenya among others. He is the former Managing Director/CEO of CCL-PR, former Secretary General of the Federation of African Public Relations Associations (FAPRA) as well as a member of the International Public Relations Association (IPRA). Mr. Ashwin Patel (Treasurer) Mr. Patel holds a Bachelor of Science (Chemistry and Maths) degree from Bombay University, India. He is a member of the Institute of Chartered Accountants in England and Wales (ACA), member of the Institute of Certified Public Accountants of Kenya (CPA K), Member of Institute of Certified Public Secretaries of Kenya (CPS) and Member of Association of Cost and Executive Accountants in United Kingdom. Mr. Ashwin Patel has over 42 years experience in accounting and Finance Spanning Europe and Eastern Africa having been a senior partner at the Ashwin Brothers which is part of the JHI International. He is Chairman of the Hindu Council of Kenya, Vice Chairman Patel Brotherhood, Trustee of Impact East Africa, First Trustee and Treasurer of Charotar Patidar Foundation and Board Member Eastleigh High School among others. Mr. George Kariuki Mr. Kariuki is a long serving council member of FDSA where he sits in the finance sub-committee. He holds a Master of Business and Public Administration degree from the Southeastern University, Washington DC, a Bachelor of Science degree (marketing) and an Associate of Marketing and Merchandising both from Strayer University, Washington DC. Mr. Kariuki is a career banker with over 27 years experience; he first joined Commercial Bank of Africa as a management trainee and has since held senior positions in CBA and CFC Stanbic Bank. He is currently the Head of International Organizations and Government Business at I&M Bank, where he has worked for the last four years. Mr. Kariuki has established an extensive network within the public sector, the international donor organizations as well as the private sector. Ms. Njambi Kiritu Ms. Kiritu is a graduate of Florida International University, and the Managing Director of Impact by Design, a Nairobi based PR and Communications firm. She previously worked as the Head of Industrial Training at Kenya Utalii College. In addition to sitting in the Flying Doctors Council, Njambi sits in the following Trusts and Boards – The Childrens Village Trust, The Hotel Enterprise Development Institute of Rwanda (HEDI), Solar Green Africa, Rwanda, KAWI Ltd, Brandscape Foundation, Baraka Opera Productions, MRM EIB Trust and she is the Secretary to The East African Women’s League, Lavington Branch. Mrs. Illa Devani Mrs. Devani has a wealth of professional experience gained in compliance, audit, legal and regulatory affairs both in public and private sectors. She is a highly experienced accountant and a member of the Institute of Chartered Accountants in England and Wales (ACA). She has a heart for the less fortunate in the society and she is a long serving trustee of Jaipur Foot Trust and Desai memorial School. Illa is also a board member of many organizations key among them the Welfare Society for the Aged, St. Nicholas Children’s Home and Little Sisters of the Poor. Ms. Connie Maina Ms. Maina holds a Master of Business Administration (MBA) degree from RMIT, Melbourne. She also holds a Master of Science in Public Relations (MSc) degree from Stirling University Scotland, United Kingdom and Diploma in Public Relations and Business Studies both from LCCI, London, UK. Connie is an expert in Strategic Management in Communications, Fundraising and Project Development and Management. Currently she is the Program Director, Stewardship of the Catholic Archdiocese of Melbourne. Connie has had wide experience in different organizations having worked with National Museums of Kenya, Kenya Wildlife Service, Kenya Hospital Association, and World Wildlife Fund (WWF) among others. She is a seasoned Rotarian having served both locally and internationally. Connie is a board member of St. Aloysius College, Melbourne and Disability Partnership Abroad. Mr. Bhagwant Singh Bharaj Mr. Bharaj is a long serving Council member of the Flying Doctors Society of Africa. He is a leading entrepreneur, businessman and director of Bella Estate Agents. He has vast experience in real estate management and motor vehicle industry. Mr. Bharaj has also dedicated a large part of his life to public service, having been a long serving committee member of the Ramgarhia Sikh Temple where he was a Vice chairman. Mr.Bharaj was the convener for raising funds to construct the Guru Nanak Ramgarhia Sikh Hospital in Pangani.